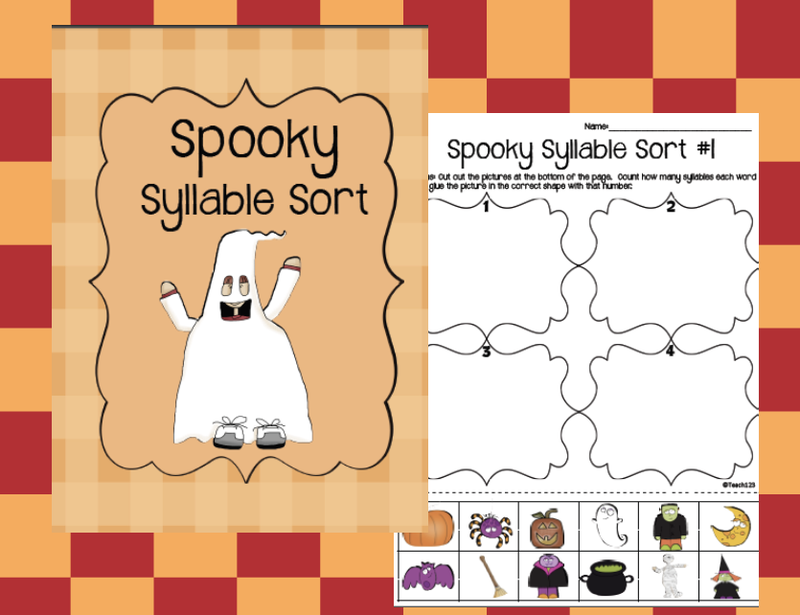 I just added a new Halloween packet to my TPT store. 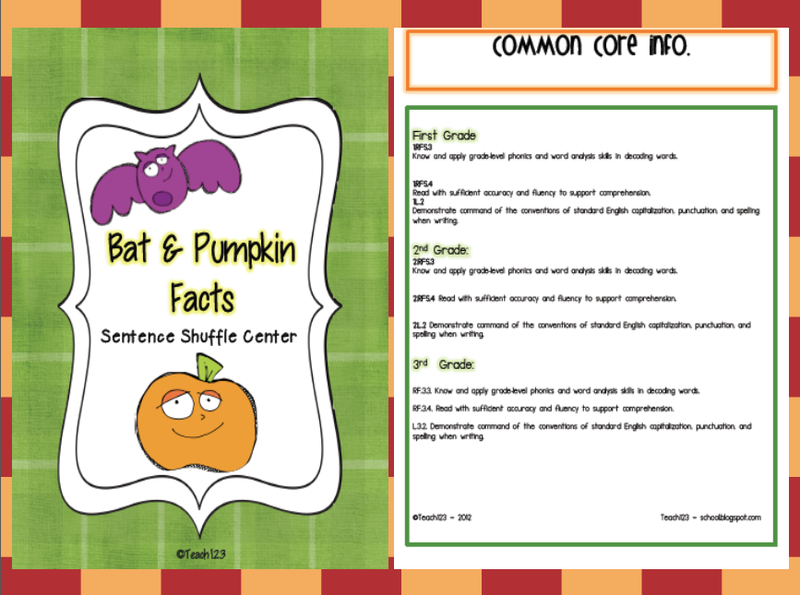 There are 6 centers included with this packet. There is also a freebie at the end of this post for you. 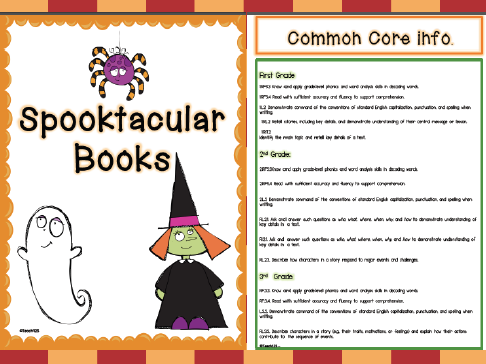 Spooktacular book center is aligned with 1st – 3rd grade Common Core standards. 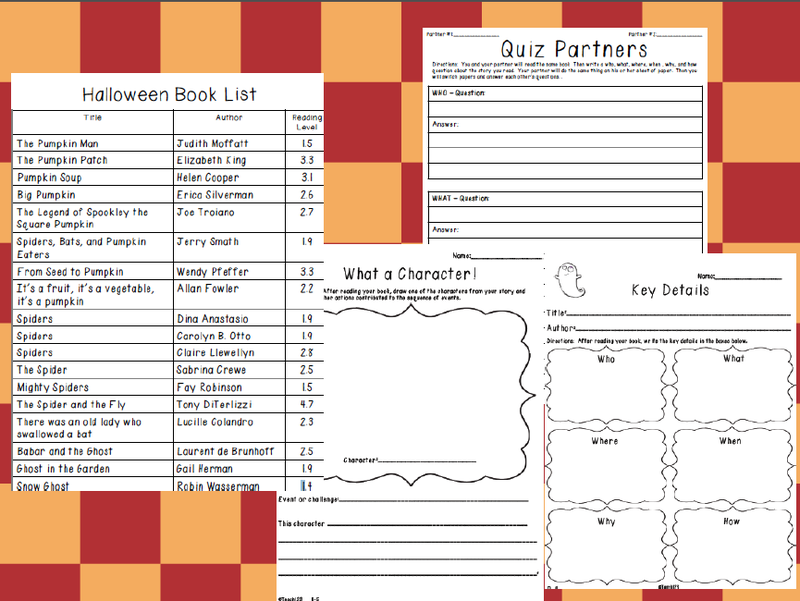 Included in the book center is a book list (52 books) which tells title, author, and reading level of Halloween-themed books. There are 3 different assignments for students to do after reading their books. 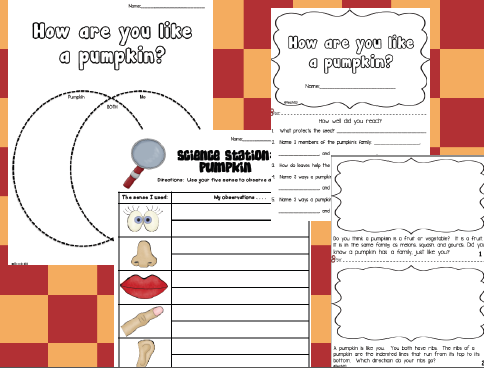 Science station: How are you like a pumpkin? Students will use their 5 senses to observe a pumpkin. Then they will read a mini-reader which gives examples of how they are like a pumpkin and will also complete a venn diagram. 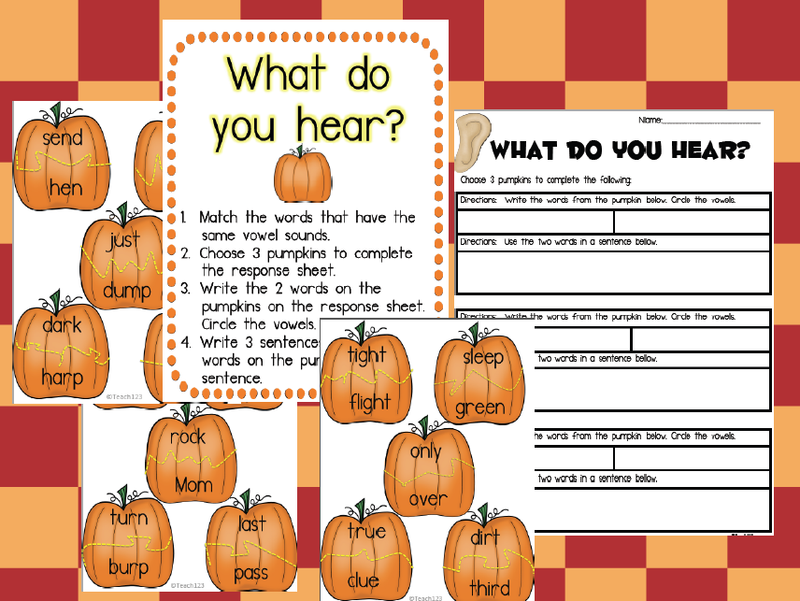 Vowel sound center: Pumpkins are printed on card stock and cut in half (on the yellow line). Student match words with the same vowel sound. Then they will write 3 sentences using the pair of words in each sentence. Writing: These writing prompts can be used different ways. 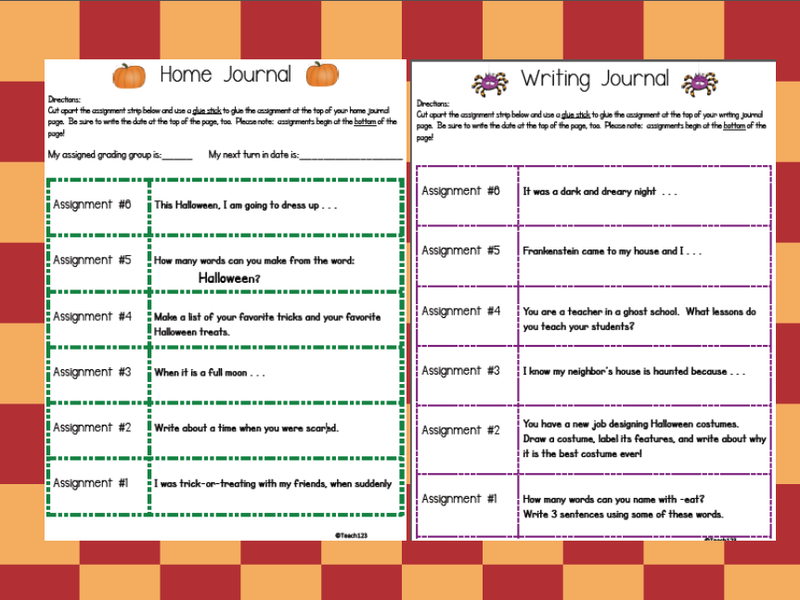 You can set them up as a writing center, used as a journal assignment, or used for home journal assignment. Students sort the pictures by the number of syllables. Print this on card stock and cut apart. Sort the pictures by number of syllables. 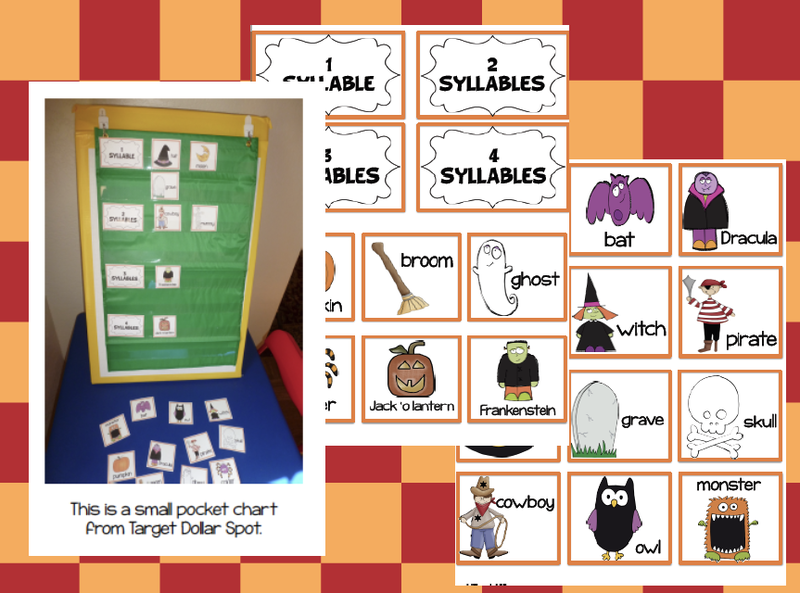 This can be used whole group to introduce syllables or set up as a center. you have some great centers in it! Thanks for sharing your Anatomy of a Pumpkin! I'm getting a pumpkin this afternoon and getting to work on this! Great Job!